Youthworks College Underway for 2005! February has seen the kick-off of Youthworks College for 2005. I taught the first week of the Youth Ministry 1 intensive course, and then the second week of the Youth Minsitry 2 intensive course. 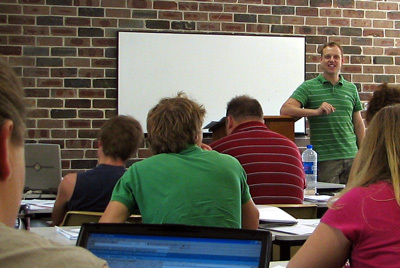 This week I began to teach the Youthworks College Ministry Skills Certificate, a weekly course designed to help students learn practical skills in youth ministry. The subjects include financial management, OH&S, small group techniques, public speaking and more!